This bake was chosen by Joyce of Kitchen Flavours for our The Home Bakers event – sorry I’m posting this so late! I was so overwhelmed with work last week that I just couldn’t muster the energy to blog another post… But it also seemed that the blogging community is getting pretty quiet lately – many are perhaps preparing for Christmas / New Year or are probably away for a year-end vacation? Well, let’s not digress… Joyce has been a really wonderful foodie I’ve known through blogging – she’s actually the one who started The Home Bakers and I was so honoured when she invited me to join the event with her! 🙂 I really love her home-made comfort food, especially all the bread she bakes, I wish I can have them for breakfast everyday! This loaf is pretty soft and sticky, so I used my mixer to knead it, but I think I still under-knead the bread because it is not very soft and fluffy like Joyce’s. 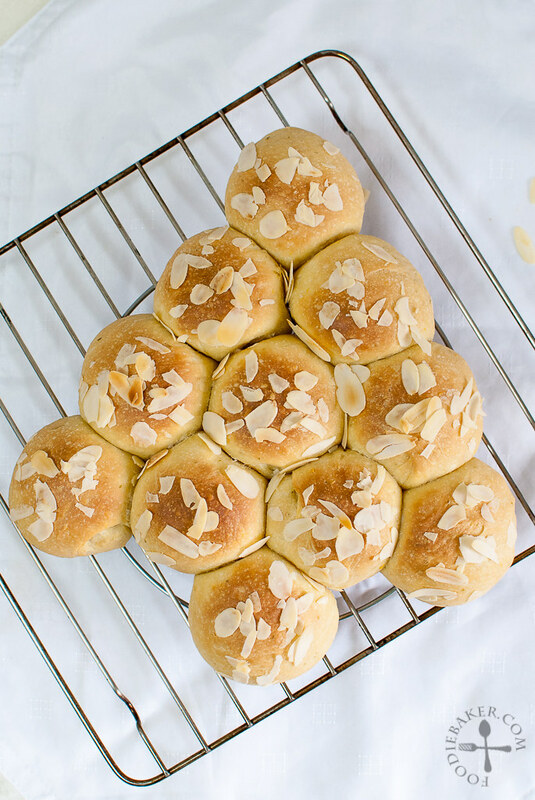 While shaping the dough, I was feeling festive so I thought – why not make a Christmas tree? So I divided the dough into 11 portions – but after shaping, I realized the “stump” portion is a bit too small, but well, I was too lazy to re-portion the dough. When I asked X what does it look like, he said “arrow”… guess I just don’t have the artistic streak in me, haha! 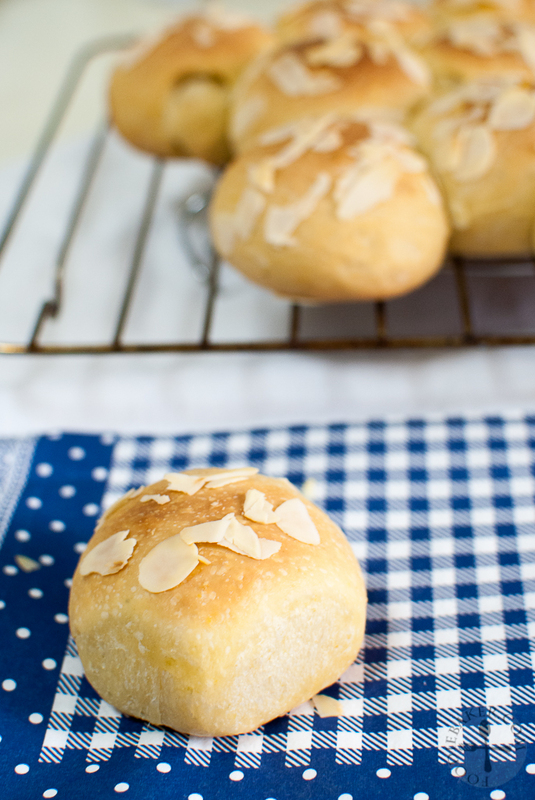 Overall this is definitely a bake that I will need to improve a lot more on – especially on how to make a good, fluffy, soft and pillow-y bread. This is probably my last bread-baking experiment for 2013, I’m sure there will be a lot more to come in the next year! Below are the step-by-step photos! 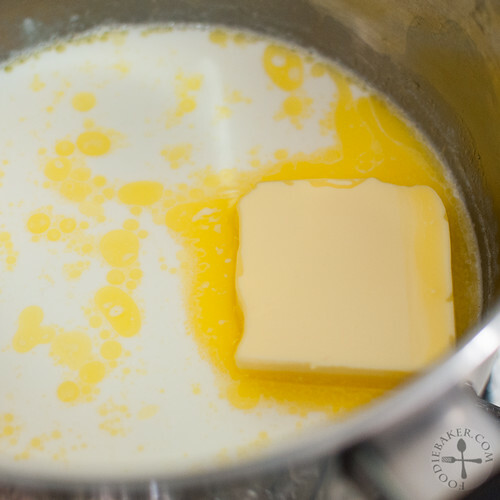 1) Melt butter and warm the milk together. 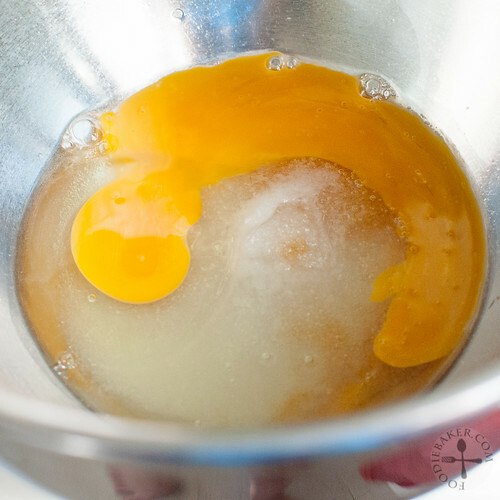 2) Beat sugar, vanilla and egg together. 3) Add in the warm milk. 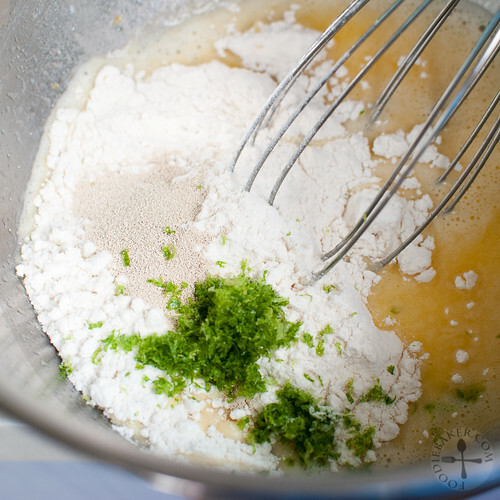 4) Add in flour, yeast, salt and zest. 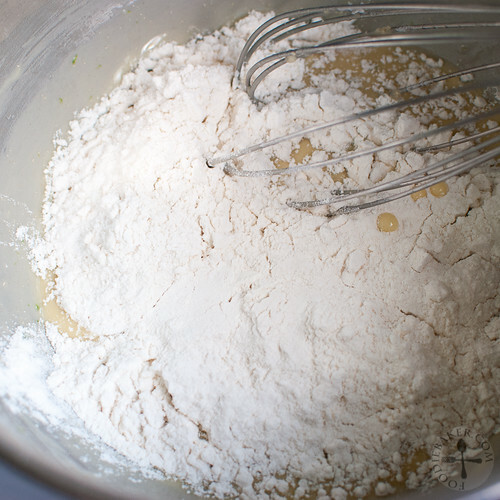 5) Add in more flour. 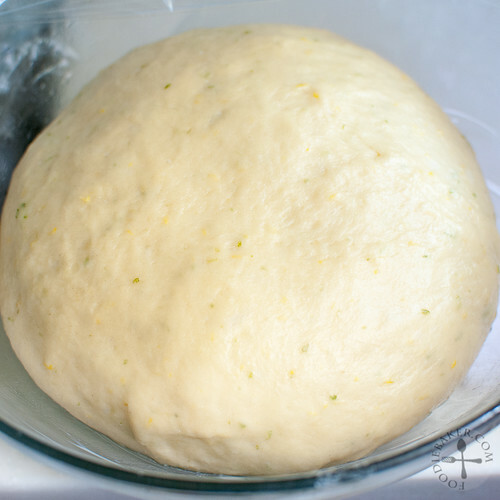 6) Knead the dough away! 7) Proof the dough until double in size. 8) Shape the rolls and let proof again. 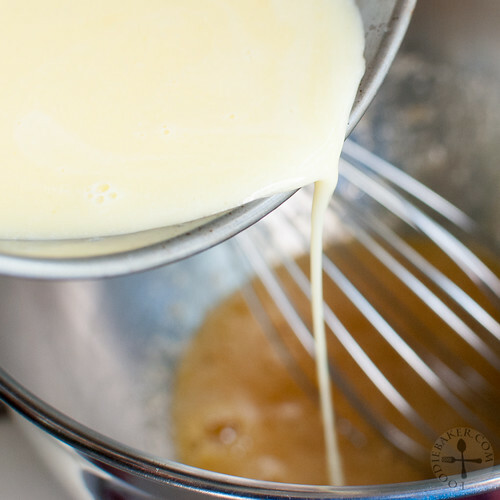 9) Brush with egg white / melted butter. 10) Sprinkle with nuts and sugar and bake! 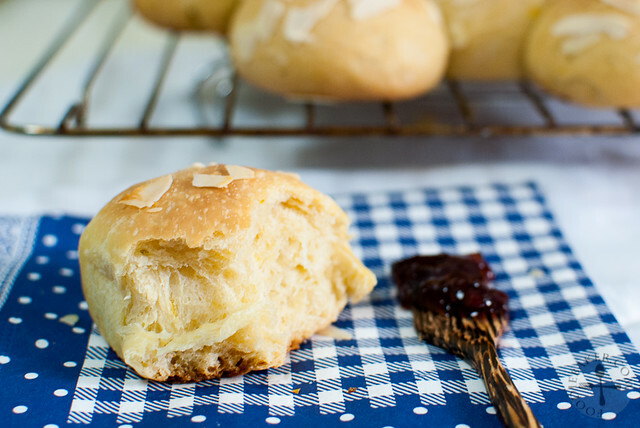 Love the bread with jam! For the full recipe, please head to Joyce’s blog! To see what others have baked, head over here! As I used instant yeast for this recipe, I simply mix all the ingredients together instead of activating the yeast first. 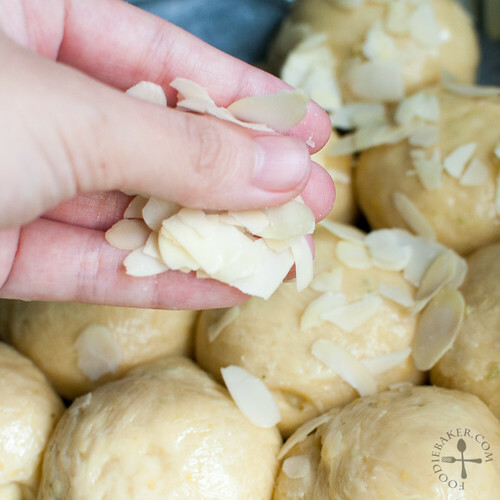 For the original recipe and full instructions, please head over to Joyce’s blog! 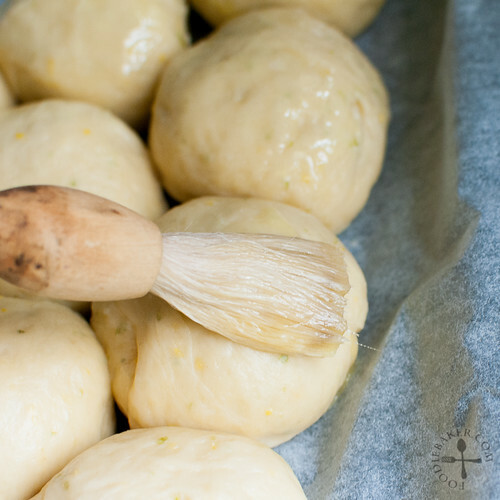 To shape into a tree: take 1/8 of the dough and roll into a ball/rectangular shape. This will be the stump. 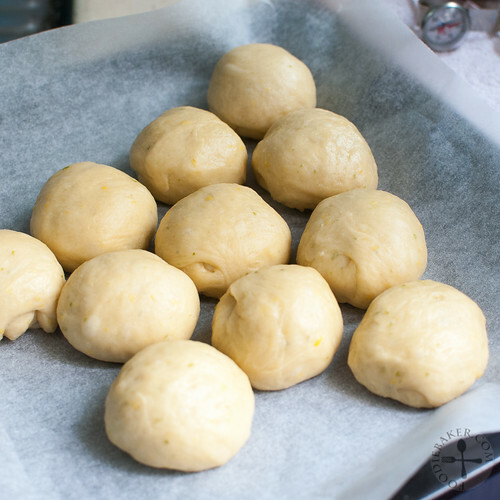 Divide the remaining dough into 10 equal pieces and roll into a ball. 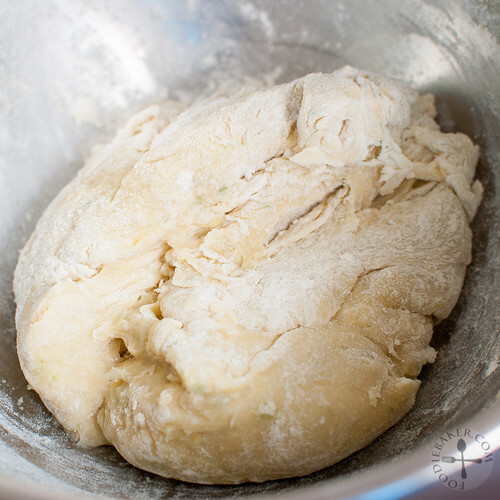 Arrange the dough into a tree shape, leaving a little space for proofing. Proof as per normal and follow the rest of the recipe. Thank you for your lovely words! 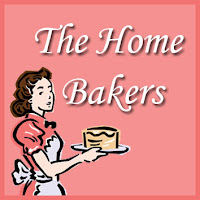 THB is honoured to have you baking together! And a lovely idea to make these as a “Christmas Tree” with Christmas just round the corner, looks very festive indeed! I’m so glad that you have however got round to making bread this year, and hope to see more of your bread making next year! Like you, I’m still learning about bread making, a never ending process of learning! Thanks for being a part of THB! Love your christmas tree! edible one!